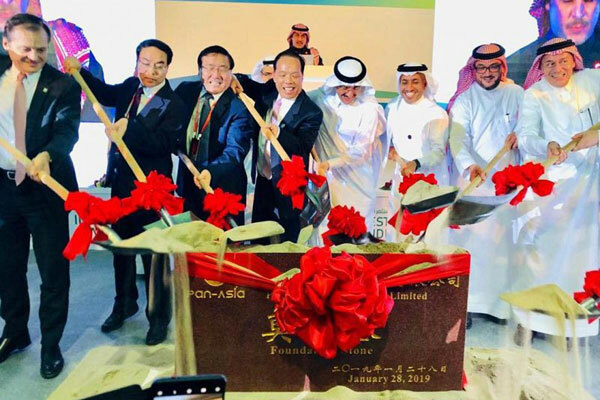 Chinese company Pan Asia has broken ground a major primary and downstream industries project in Saudi city of Jazan at an investment of SR4 billion ($1.06 billion) in collaboration with key government entities, said a report. The project was announced in the Future Investment Initiative held last year in Riyadh, as the first Chinese project in Jazan City for Primary and Downstream Industries, reported SPA. The Jizan development is among other projects which are being implemented in accordance with the agreements signed between Saudi Arabia and China under the umbrella of the Kingdom Vision 2030 and the China Belt and Road Initiative, it stated. The project will provide high-quality international technologies and create 570 job opportunities, it added.